Coaching in the workplace is a relatively recent concept. Traditionally, coaching took place in the sport environment (football, tennis, rugby, swimming etc). 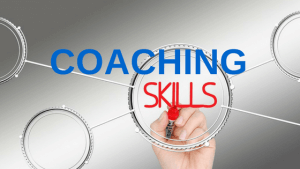 The application of the coaching principle in the workplace has evolved to the extent that many CEOs and MDs now have what is called “Executive Coaches”. Because executive managers do not have the time to go on formal training programmes, these Coaches provide focused guidance to develop and increase competencies on executive level. This programme applies the same coaching principles to enable supervisors and managers to identify their competency gaps and use coaching as an in-house mechanism to ultimately improve performance. This programme explores the nature, definition and benefits of coaching, and how a coaching practice can effectively be implemented in the organisation. It also provides a Coaching Model that could be followed so that both the Coach and the Coachee understand the process of effective Coaching. This Programme views Coaching as part of each person’s “self development toolbox” The programme examines the concept of Coaching, how it works what it offers and how it differs from other forms of personal development. It will also look closely at the coaching process itself, at some of the areas in which it can be applied. The workshop is entirely participant centric, drawing on practical examples and allowing for maximal input from all participants.